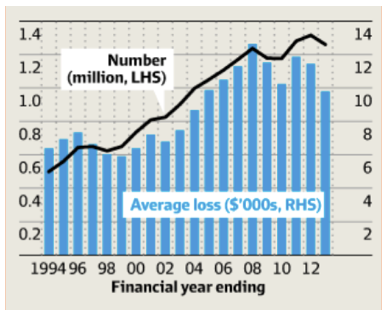 Negative gearing armageddon… about bloody time! 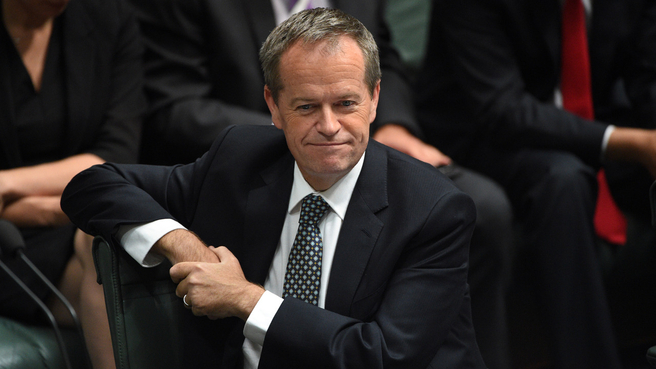 Labor wants to scrap negative gearing. What’s that going to do? So Labor dropped a bomb-shell over the weekend, announcing that they would restrict negative-gearing to new dwellings and halve the capital gains tax concession. A lot of people have been asking me what I think it means, and what affect it will have on the property market. It’s a bit curly, so I thought I’d just work through my thinking here. Think out loud, so to speak. The first point I should fess up is, that market impacts aside, as a property educator, this is probably good news for me. The secret to my success has been in helping people find ways to avoid the traps of negative gearing. I can’t tell you how many people have come to me just because they had slammed into a credit wall just as they were getting their portfolios off the ground. For a long time, negatively geared properties were the received wisdom. It was what family accountants all over the country, who didn’t know better, recommended to their clients. So if the negative gearing window closes, I can expect there will be a lot more interest in the kinds of strategies I offer. Just want to declare my hand there. First up, negative gearing, as a force, is probably big enough to move the market in a noticeable way. Over 1.3m Australians use negative gearing. That’s substantial. Negative gearing is a big deal in Australia. And so if you had some totally nut-so policy that removed negative gearing over night, a lot of people would feel it. That’s why Labor’s plan doesn’t touch properties that are already negatively geared. Nobody’s that stupid. Labor’s plan is also to restrict negative gearing to new houses. But that’s not all that different to removing it completely, in terms of impact. Only 5% of investors buy new properties. 19 out of 20 buy existing properties. So a policy that targeted negative gearing on existing properties (95% of the investor market) has the capacity to have a real impact. You often here the claim made that it will have an impact on rents. I looked into it and the data doesn’t really bear that out. The Hawke-Keating government quarantined negative gearing between 1985 and 1987, but you can’t really pick it in the rental data (highlighted in red). There were strong increases in Sydney and Perth, but if it were all about negative gearing you’d expect it across the country. But for me, I wouldn’t really be looking for it in the rental data. I mean, the idea you hear was that landlords needed more return to make it work, so they pushed up rents. But if the market can handle you putting another $50 bucks on your rent, why aren’t you doing it already? Rental prices are determined by what people are willing and able to pay. 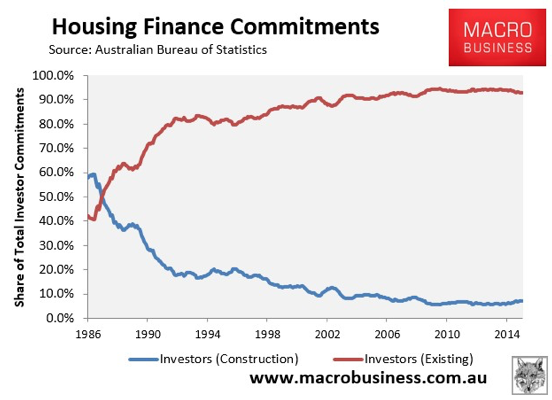 Supply is not determined by investors (remember only 5% invest in new housing). And if an investor decides a particular property is no longer working and they sell up, the housing stock does not decrease. This is an important point and it tells us where we should expect to see any impact show up. 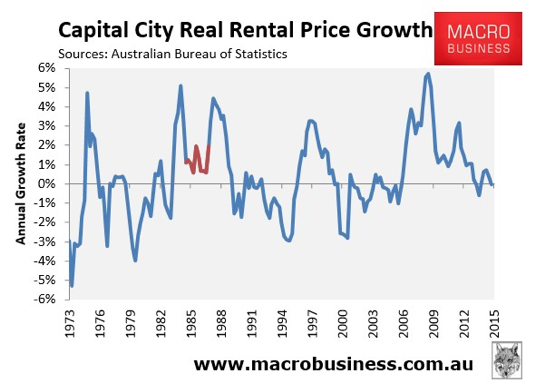 Because at the end of the day what really what matters to investors is the relationship between rents and house prices. For an investment to be worth it, the return of the asset has to be worth it relative to the price of the asset. Negative gearing tweaks this relationship by adding in a tax-break benefit on top of the return benefit. Take it away, and the balance shifts. To return the balance, either rents need to go up, or prices need to come down. 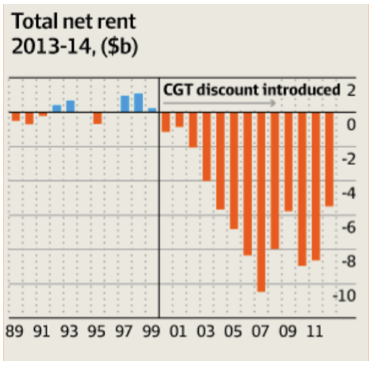 But if rents are already at the limit of what renters can bare, what’s going to happen? Yup. Prices are going to go down. And that will happen with new sales. New investors will be looking at the rental return, without the benefit of negative gearing, and think, I just can’t make that price work. That doesn’t necessarily mean that prices overall will go down though. Investors might just simply step down the price ladder of the properties they’re interested in. That might leave a whole in high-end properties, or in certain segments… it’s very hard to say. What we could expect though is if the changes come in on July 1 2017, as Labor plans, then we could see a lot of activity in the market in the run up to that date. We could see a strong pull-forward effect. Depending on how it plays out and how forward looking investors are, that could actually create a spike in price growth in the near term, as people compete for the properties on offer. Still early days, but that’s what I’d be looking for if Labor gets in and negative gearing gets canned. Not a lot of action on the rent front, with a softening influence on prices over the medium term, and the potential for a pull-forward effect in the short term. Wish I could be more definitive, but there’s so many factors at play. Anyone who tells you they have a crystal ball for this stuff is kidding themselves. What do you think? What will happen if this plan gets up?